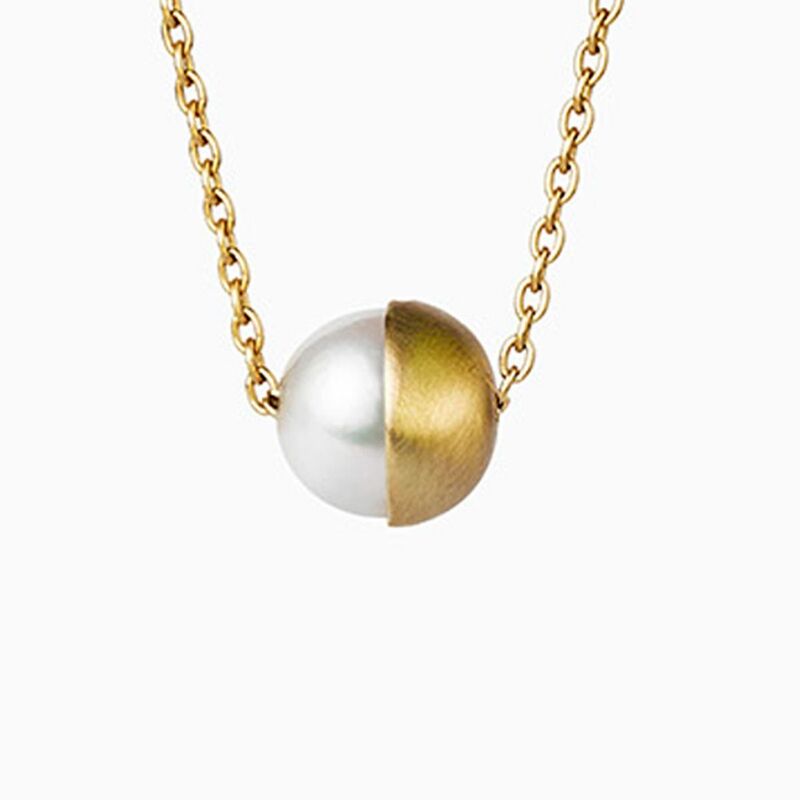 A pearl is encased in a half sphere of gold at a 90 degree angle. 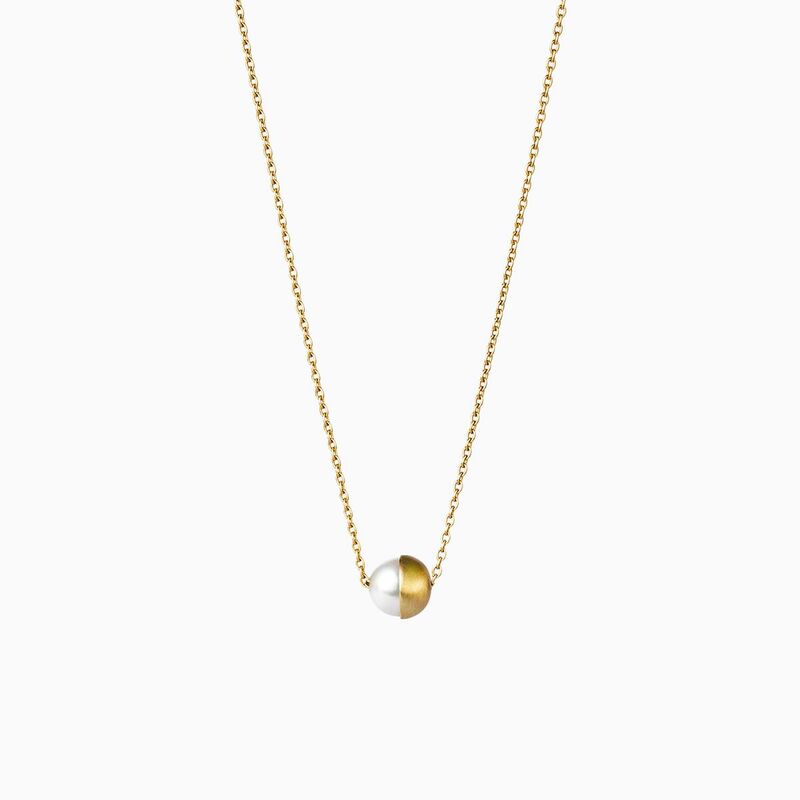 The long chain is looped through the pearl pendant and can be worn over the head. Also available in pearl setting angles of 0° and 45°.